. إن الخدمات الممتازة وحسن الضيافة العالي في Econo Lodge Ben Hall Motor Inn تجعل إقامتك تجربة لا تنسى. هذه بعض الخدمات الموجودة في هذا الفندق: واي فاي مجاني في جميع الغرف, تخزين الأمتعة, واي فاي في المناطق العامة, صف السيارات, خدمة الغرف. في الفندق غرف نوم يتجاوز عددها 29، كلها مجهزة بعناية وجمال وبعضها مزود بـ تلفزيون بشاشة مسطحة, غرف لغير المدخنين, مكيف هواء, تدفئة, مكتب. يقدم الفندق مجموعة واسعة من وسائل الراحة المتنوعة، كمثل: مسار جولف - ضمن 3 كم, حمام سباحة خارجي, حديقة. مهما كانت أسبابك لزيارة فوربس، فإن Econo Lodge Ben Hall Motor Inn هو الخيار الأفضل لإقامة مثيرة وممتعة. 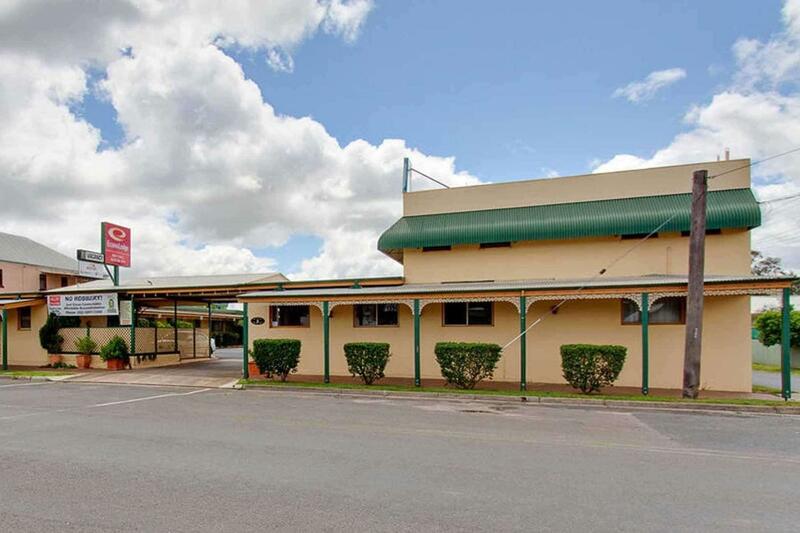 good value room centrally located walking distance to where we needed to be. Good accommodation that is central to the towns pubs, clubs and businesses, but located on a quiet street so you wont hear traffic driving by. 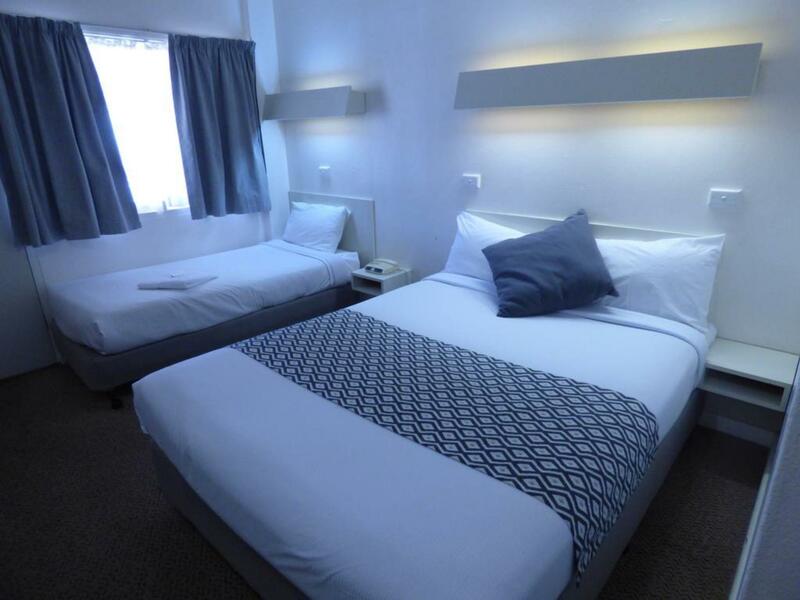 Although 'econo' accommodation, the rooms are well presented and stocked with everything you will need for your stay. We stayed there only for one night in transit. 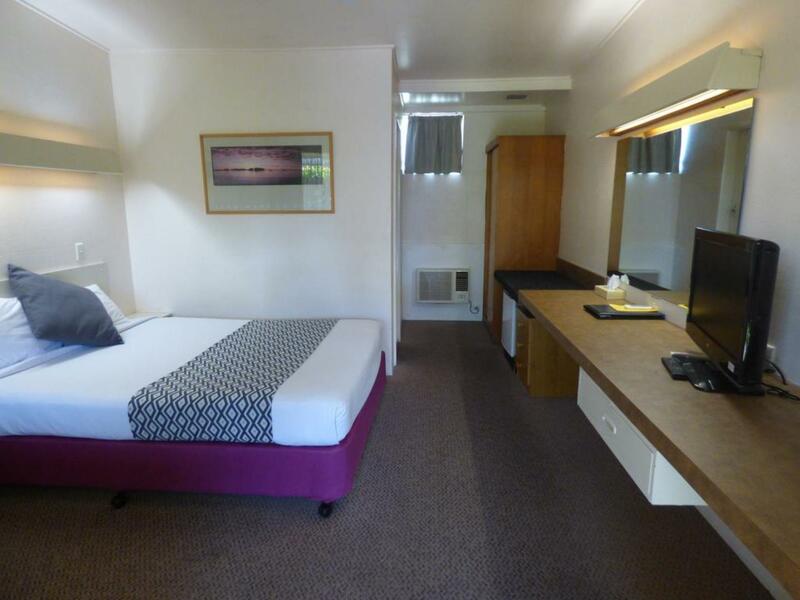 Motel has pretty clean room, even though dated but it is acceptable for town of this size. Must comment on bed mattress and bed linen, they were like in 4* accommodation. Perfectly white linen and comfy mattress. We had a really good and quiet sleep. the manager met us at the office and kindly provided keys and showed our room. He also suggested dinner in Forbes Inn pub as everything else was close apart from a couple of chinese restaurants. And Pub meal was great, good portions and good price, as pab should be. T-Bone steak and calamari was great. Parking, shower and comfortable bed. Our stay was excellent for the reason of our visit. It was in walking distance to just about everything. We would definitely stay again. We wanted a motel for a brief overnight stop and this fiited the brief really well. The rate was very good and checkin and checkout were extremely fast and well organised. The motel was very close to the river so provided a pleasant place for a good walk but was far enough from the main highway to ensure a good night's sleep. It was an easy walk to the nearby RSL Club for dinner. So all our boxes were ticked with minimum fuss. Close to 2 pubs, several restaurants & take-aways, Econo Ben Hall is in a great spot. The Tourist Info office is a short walk from here. The room was a good size, with reasonable benchspace. The heater/AC unit is close to the floor instead of the usual head height. Free internet was a big plus here. No microwave. The only complaints we had for here was that the taps don’t turn off easily & the lack of outside lighting makes it a bit dangerous loading or unloading the car – or just coming back – when it’s dark. Otherwise, it’s fine. Location very close to main street but also quiet. The owner was very helpful and pleasant. The room very clean and comfortable. Easy to find and park inside. Had a lovely stay at the ben hall motor inn, service was of standard, our room was a little small for the priced paid, but over all was happy with our stay and would recomend people stay at this wonderful location. Close to shopping, restaurants, churches,parks. Very comfortable.close to amenities,friendly and helpful staff. The Manager Peter was very friendly and very helpful, the rooms were clean and neatly appointed, coffee making facilities and a toaster, a 2 minute walk to the Forbes Inn and shops,a friendly resident dog and cat to greet you as you arrive, couldn't have been a better stay in this country town. God service og stille område.